This was disclosed in a statement by Director Press and Publications department of the scheme, Mrs Adenike Adeyemi. 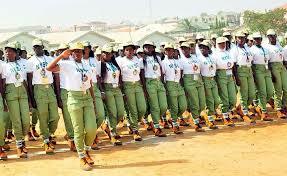 Adeyemi said 2018 Batch ‘A’ corps members lauded the increase when the Director General of the NYSC, Brigadier General Suleiman Kazaure visited the Ebonyi State Orientation Camp. “The transport allowance for each corps member has been increased from N1,500 to N1,800, while the local allowance is now N1,400 up from N1,000. “Kazaure said the increase was in line with the Federal Government’s approved minimum wage for Civil Servants,” Adeyemi added.